Step 3: Tell no one, except Dustin. Step 4: Flaunt that feathered mullet like a goddamn boss. In real life, Keery tells Vulture his hair is actually quite low-maintenance. (“It’s just my genetics. I don’t do anything different than any other person. I would say, truly, it’s just my parents’ heads.”) But Steve is a man who takes his hair care seriously and appreciates that vanity requires effort. And because Stranger Things is devoted to recreating the ’80s down to the littlest strand of hair, Steve takes all his inspiration from the woman who cornered the hair market of that era: Farrah Fawcett. It’s such a hard find that even the minds behind Stranger Things couldn’t get their hands on it for the show. In the season finale, Dustin uses what looks like that vintage Fawcett hairspray to transform into a mini-Steve for a school dance, but it’s not the real deal. 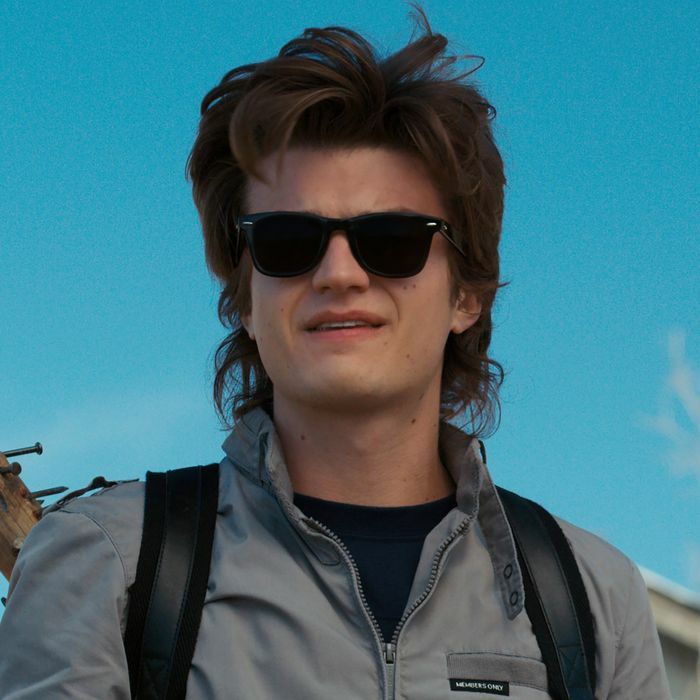 Still, accuracy demanded it: The Duffer Brothers consulted the show’s hairstylist, Sarah Hindsgaul, for era-accurate recommendations, and she told them Steve would have absolutely used the Fawcett spray. “Steve is so vain that he doesn’t care it’s a woman’s spray,” she tells Vulture.